Showrunner Emma Frost takes DQ into the court of The White Princess, a historical drama she describes as a period version of The West Wing. As far as sequels go, The White Princess is slightly unusual. A follow-up to 2013’s The White Queen, the series again finds its inspiration in Philippa Gregory’s series of novels that comprise The Cousins’ War, set against the backdrop of the War of the Roses in 15th century England. There are also some of the same characters – but that’s largely where the similarities end. A brand new cast appears on screen, while the BBC dropped out of the US/UK partnership behind The White Queen, leaving US premium cable network Starz to go it alone. There’s also a new production designer and costume designer, giving the series an altogether different style and look. That proved to be a breath of fresh air for Emma Frost, a British writer who has found her natural calling within the US showrunner system that gives writers the responsibility of producing their own work. The story sees war-ravaged England ostensibly united by the marriage of Princess Elizabeth of York (Lizzie) and King Henry VII, but their personal and political rift threatens to tear the kingdom apart once again. When rumours circulate that Lizzie’s long-lost brother Prince Richard is alive and planning to take the throne, she is forced into an impossible choice between her new husband and the boy who could be the rightful King. 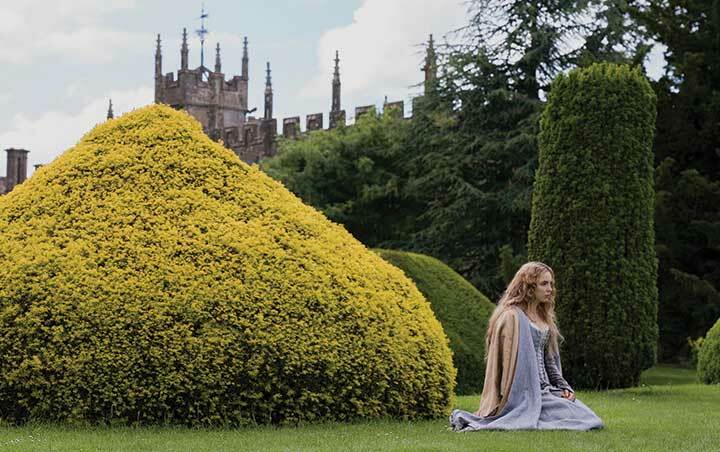 Produced by Company Pictures and Playground, The White Princess is executive produced by Frost alongside director Jamie Payne and Colin Callender, Scott Huff and Michele Buck. Starz distributes the series worldwide. Frost wrote a detailed series bible and episode outline, laying out her vision for the show. She subsequently penned four episodes and co-wrote a further two, ensuring her vision and voice remained in place across the eight-episode run. But the development of The White Princess was complicated somewhat by the show’s origins, being based on a book that is itself based on historical events. “The book is always the guide,” Frost explains. “I go back to history as well and there are certain historical facts Philippa didn’t use that I chose to. For example, the first thing Henry does when he comes to the throne is he backdates his reign [to make him king before his victory over Richard III in the Battle of Bosworth]. “That was considered an absolutely shocking outrage and blasphemy because it was believed that God was on the battlefield and God determined there and then who he would side with and who would be his next anointed king. So to suggest you thought you were the king before God decided was a real insult to God. Frost describes history as “a litany of things men did,” which means there is subsequently little focus on women. The White Princess, she says, reappropriates history from a female point of view, with a cast of powerful women all fighting for their own survival. “What’s interesting for me is it’s an entirely female-driven show that also has incredibly high stakes,” the showrunner says. “If you create a contemporary show that’s entirely female-driven, it can be tough to find those high stakes, but this is a narrative about birth, death, war, betrayal and murder. Leading the charge on screen is Jodie Comer, who stars as Lizzie opposite Jacob Collins-Levy as Henry. 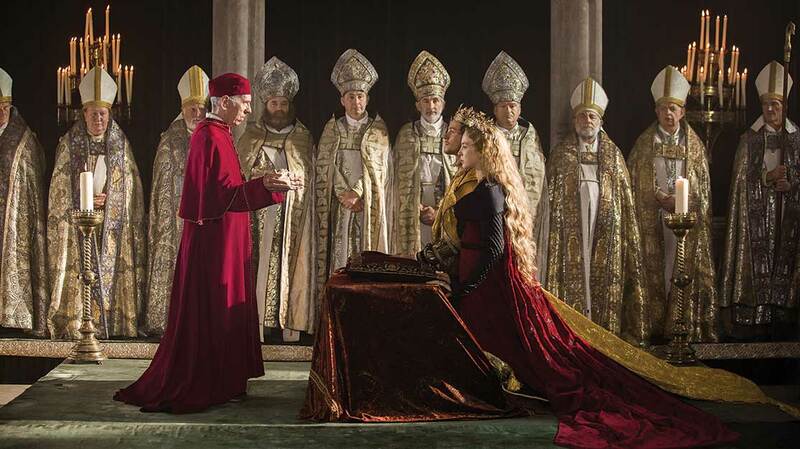 She is joined by Michelle Fairley (Lady Margaret Beaufort), and Essie Davis (Dowager Queen Elizabeth Woodville), while Suki Waterhouse appears as Cecily of York. Comer caught Frost’s attention with star turns in BBC dramas Doctor Foster and Thirteen. And after seeing her during the first day of auditions, Frost quickly told the actor not to take up any other jobs. Filming locations were largely picked close to the production’s base at Bottle Yard Studios in Bristol, taking in sites across south west England such as Gloucester and Wells cathedrals – but also as far away as Arundel Castle on the south coast. 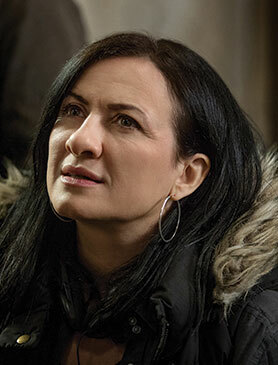 Frost admits each stage of production is “a mountain to climb,” from balancing the scripts between the source novel and history to keeping the drama relevant for modern audiences. “It’s an incredible juggling act,” she notes. “I was very keen to find out if people of colour existed at this time because you never see any non-white faces in any of the movies or TV shows that have been made so far of this period. I drove my script editing team completely insane, researching any books they could find that might give us an insight into what the reality was. The White Princess, which debuted on Starz earlier this month, completes the story that began in The White Queen. A decision is yet to be made on a third instalment.